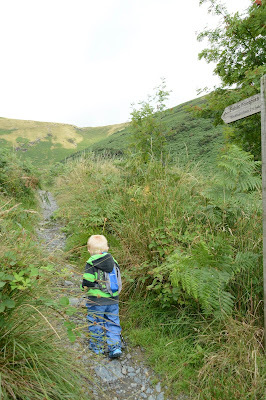 The wee man is starting to get a real passion for the outdoors even at the grand old age of 3! Being surrounded by pictures of mountains, sunsets and the odd bit of action this should be no surprise to us! With a little break in the dull weather it was the ideal time to climb Blencathra and show the wee man that when you put your mind to something anything is possible! 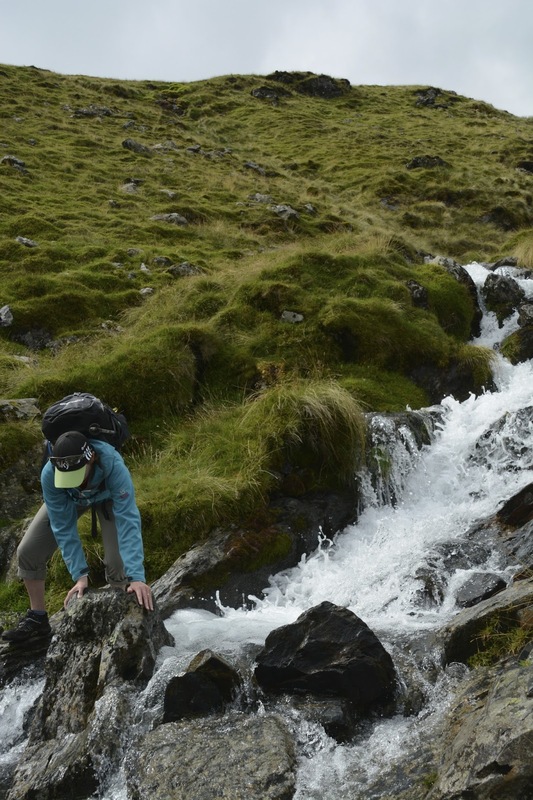 The chosen route was Mousethwaite comb, Scales Tarn, for a picnic and then head for the summit. Sharp Edge would be a challenge for another day! 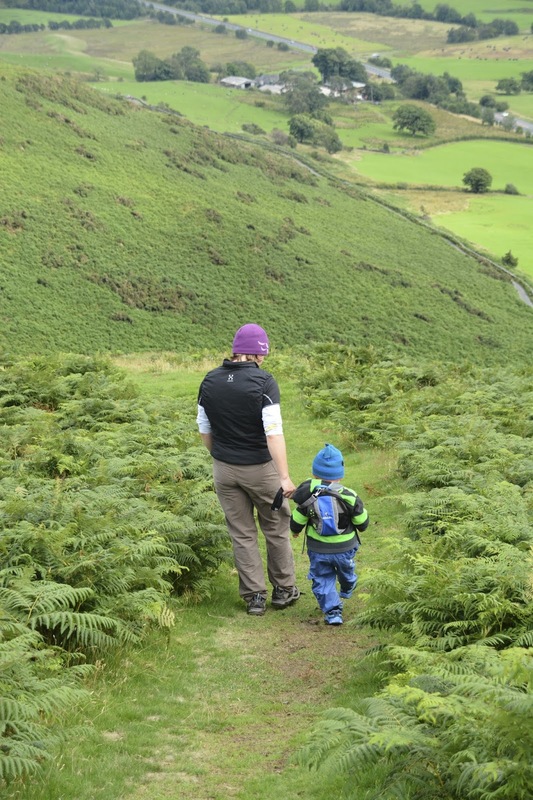 The wee man impressed us walking almost to the top of Mousethwaite Comb needing little encouragement other than his walking pole! After a little drink and rest at the top of the comb we headed for Scales Tarn. 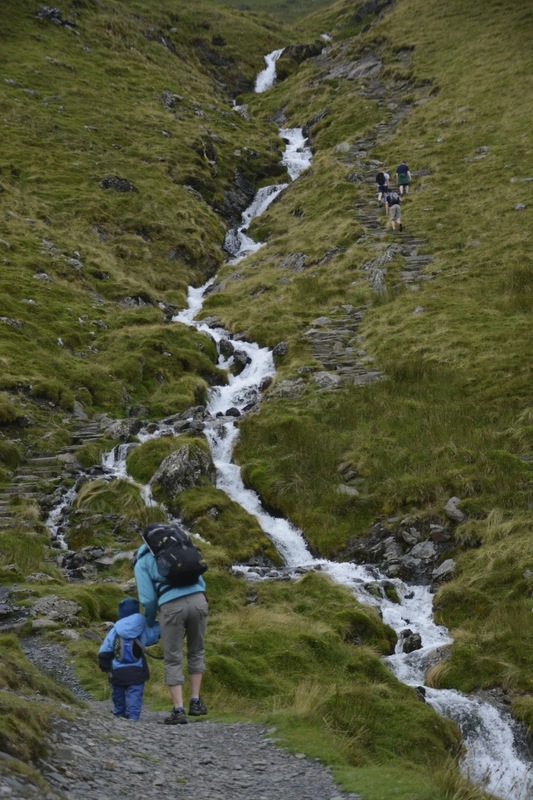 As with all toddlers that age splashing in puddles is a great thing to do but on a mountain not the best ! With lots of water running down the path we had to do some distraction tactics all the way across! There were lots of Fireman Sam rescues to attend! Approaching the beck leading to Scales Tarn it was evident that the nights rain was going to make it an interesting crossing ! The outdoors teaches kids so much self discipline which becomes more evident when you need them to respond to instructions when things get a bit exciting!! Having safely crossed the beck it was evident that the wee man was ready for his picnic! 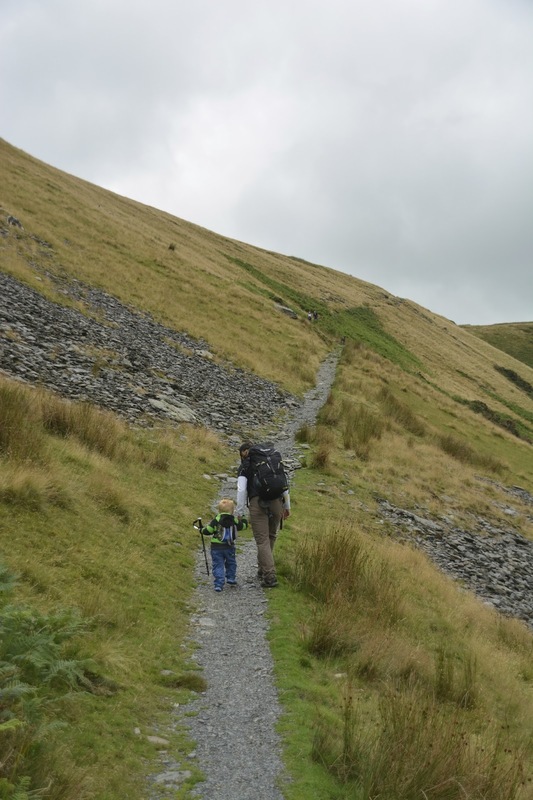 This route was proving to be great for a toddler as there were lots of places to aim for, keeping them interested and motivated !! The picnic was a success and watching the gusts across Scales Tarn provided some entertainment although that was not needed with the view that was in front of us. Educating the wee man about Sharp Edge was important and he was keen to cross it the next time we were on the mountain! Leaving Scales Tarn we decided to dress him up as it was getting quite windy. 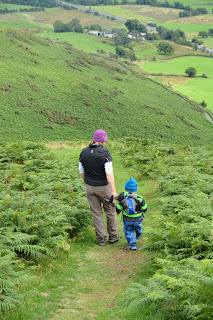 Having his rucksack with a rein on it was very assuring although not to be relied upon, on the steep paths. Although the path climbs steeply to the summit ridge it is over quickly with a view to keep your mind off the hard work. We made topping out dramatic for the wee man getting him to climb over the rocky outcrops! He was feeling very proud of his mountaineering exploits! The excitement for the summit was building and in the end we could not stop the wee man from running to the summit! Although his legs were tired he just kept going! Once on top he had a well earned drink, applause from fellow walkers and time to admire the view! A very excitable and tired wee man was standing on the summit of Blencathra feeling very proud of himself and we too shared this feeling! It was soon time to head down and home! The zig zags really helped keep him entertained pretending we were Tom Thomas from Fireman Sam flying his helicopter. We also stood to watch the scramblers on Sharp Edge. With only a small amount of carrying on the shoulders we were soon back at the car giving each other high fives for what had been a memorable day on the hill! The wee man was certainly a tired little boy but the smile on his face at the end was one of relief and pride! We are sure that it will not be long before he is once again stood admiring the view over the lakes from one of the many amazing summits! Great that he's loving walking and the mountains but hope you don't venture onto Sharp Edge with him for several years! Yes he certainly loves the mountains. He would love Sharp Edge just need his harness!